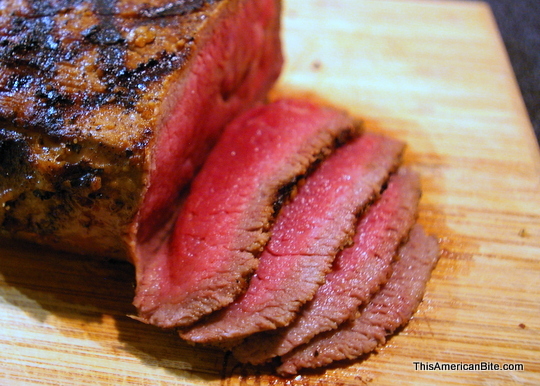 London Broil - Easy, Phase 2 Hcg Diet Recipe | Hcg Diet Info... Recipes! 1Mix all marinade ingredients together. 2Lightly score both sides of the meat in a diamond pattern. 3Place meat and marinade in a resealable bag. Massage meat and marinade around to get all the nooks and crannies. 4Marinate in refrigerator 4 to 48 hours, rotating occasionally. 520-30 minutes before cooking take meat out of the refrigerator to come up in temperature. 6Cook in the broiler or on the grill 5-7 minutes per side depending on thickness and desired doneness. Cover lightly with foil 15 - 20 minutes before serving.